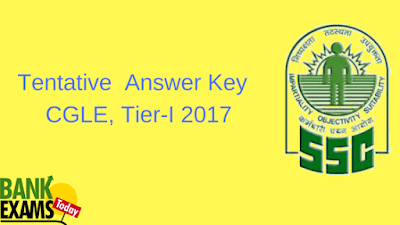 SSC released Answer key of Combined Graduate Level examination 2017 Tier – I. The Commission had conducted Combined Graduate Level Examination (Tier I), 2017 from 05.08.2017 to 24.08.2017 in the Computer Based Mode. To view your Answer Key go through the link below. Click here to view Tentative Answer Key of CGLE, 2017 Tier- I.